Hi! 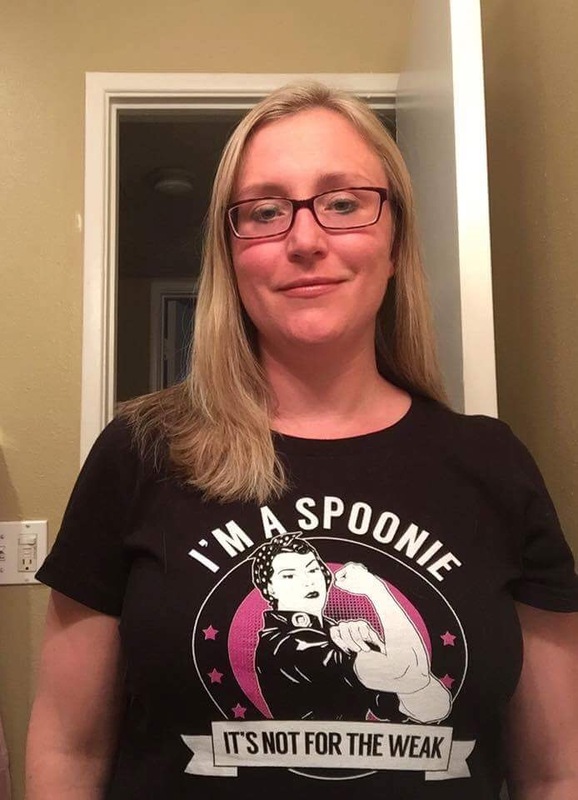 My name is Dena and I have hypermobile Ehlers-Danlos Syndrome, or hEDS. There are several different forms of EDS. The most common types are hypermobile, classic, & vascular. There are several other forms that are fairly uncommon and quite severe. The one thing all EDS patients have in common is our collagen is malformed at the molecular level. This means the “glue” that holds us together doesn’t work. Because our collagen is malformed, taking a supplement will not help our bodies fix it; we will just make more broken collagen. My form of EDS, hypermobile, shows itself primarily through extremely limber joints. Like many others with a rare disease, I did not get diagnosed quickly. As a child I was often told that the pain in my legs and hips was growing pains and to quit whining. When I got a little older and seemed to be constantly spraining my wrists and ankles and my knees were doing all kinds of weird things, I was called an attention seeker. It wasn’t until my mid-30s that people started taking me seriously. I kept winding up in physical therapy and the physical therapist noted I had almost no stability in my hips whatsoever. My chiropractor at the time also commented on how hypermobile I was and that I needed to be really careful about losing strength because when I lost strength, my joints would dislocate easier. At this time it was also mentioned that my chances of successfully having a child were slim due to the excessive laxity in my hips and the danger that presented to the baby and to myself. Shortly after this time I met somebody with EDS who recommended I join her online support group. I joined the group, eventually going to the physical meetings and met others with this condition. This led to several people saying I needed to be evaluated. So, finally having hope of an explanation for why I had seriously messed up joints, I went and saw a neurologist who specialized in EDS. He did a number of physical examinations that demonstrated my joint laxity and asked me a lot of questions. The appointment lasted well over an hour. At the end of it, I was diagnosed with hypermobile Ehlers-Danlos Syndrome. Suddenly there was an explanation for all of those sprained ankles and wrists. There was an explanation for why my knees were so bad that coming home to an 18-step staircase seemed insurmountable some nights. It even explained other things. Because our intestines are also made of collagen, many people with EDS suffer with severe chronic constipation. Our guts don’t move. I saw a gastroenterologist and slowly started to make sense of things. That’s still an ongoing battle. Since my diagnosis I’ve seen lots of specialists. I have to see pain management regularly because this is an extremely painful condition. It leads to having a lot of arthritis throughout your body, so holding your joints together hurts and the joints themselves hurt. It can be all-consuming. Good pain management is essential. That’s the thing that I would emphasize the most about this condition: if you have it and don’t have good pain management, do whatever you can to find it. Good pain management means the difference between being immobile for days versus having good and bad days. Yes, some of those bad days mean days spent in bed because the weather is bad and you are in a terrible flare. But it also means that there will be good days and you can go outside and enjoy the sunshine. The last thing that I would encourage people who think they may have this condition to be sure to look into is proper bracing. Physical therapy and bracing help reduce pain enormously. They also help reduce damage to the joints. I wear giant leg braces that go from mid-thigh to mid-calf so that I can walk safely. When I was first diagnosed I didn’t imagine my knees to be bad enough to need these giant braces. The person who assessed me for the braces laughed. It’s amazing what you learn to deal with when you don’t know any different. Thanks to the EDS diagnosis, I now have splints on my fingers that make it use easier for me to use my hands; it’s easier to hold a fork without my hands cramping. I have thumb, wrist, ankle, and shoulder splints because they are pretty mangled from years of being a farm kid. That’s pretty much true for most my joints. Being a raucous farm kid did not make adulthood with EDS any easier, but was a good time when I was a kid. I’m glad I had those experiences when I was able to. But I would not try to climb a giant tree now! It can be really isolating having a rare disease no one has ever heard about. It is extremely frustrating living through situations when all of the doctors who don’t know about it call you a hypochondriac. Even after diagnosis, physical therapy, braces, meds, the whole gambit, there will still be times spent in bed due to pain. It is isolating. It is depressing. Being fully disabled young is not easy to cope with as an American, or probably for anyone. This is why we have online support groups like #Unchargeables. To make the hard times a little easier, to break the isolation, to find people with similar conditions and concerns. Support groups are vital. Therapy is also important and I encourage anyone who feels like they may need it to seek it. There is no shame in seeking out help. For more information, visit The Ehlers-Danlos Society. Dena is a medical zebra, meaning she has at least one rare condition. 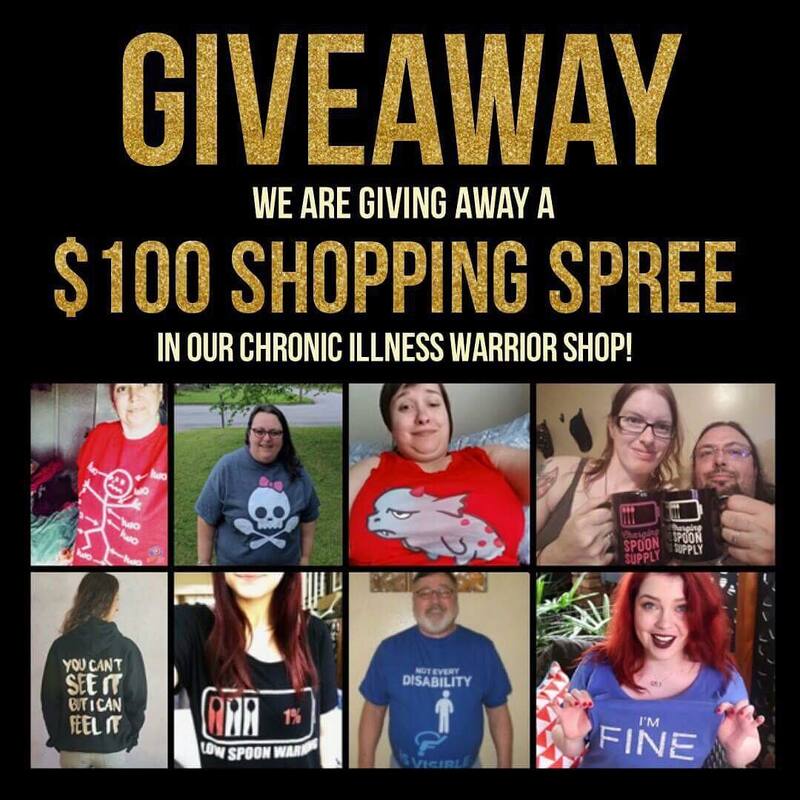 She suffers from hypermobile Ehlers-Danlos Syndrome, mast cell activation syndrome, POTS, asthma, degenerative disc disease, systemic arthritis, TMJ, seasonal allergies, probably Sjögren syndrome, and possibly more. She was a rehabilitation counsellor and mental health counsellor for a number of years. Dena now volunteers with several support groups.